Again, on my quest to practice what I preach this year, I am getting more organized in my closet. I’ve always been fairly organized, implementing the slimline hangers I have previously touted on this blog, a hanging pocket jewelry organizer that allows me to see my accessories, available at Container Store, etc. However, there is always room for improvement. I asked a friend of mine, who is a professional organizer, to make a few suggestions. How thankful I am I did! 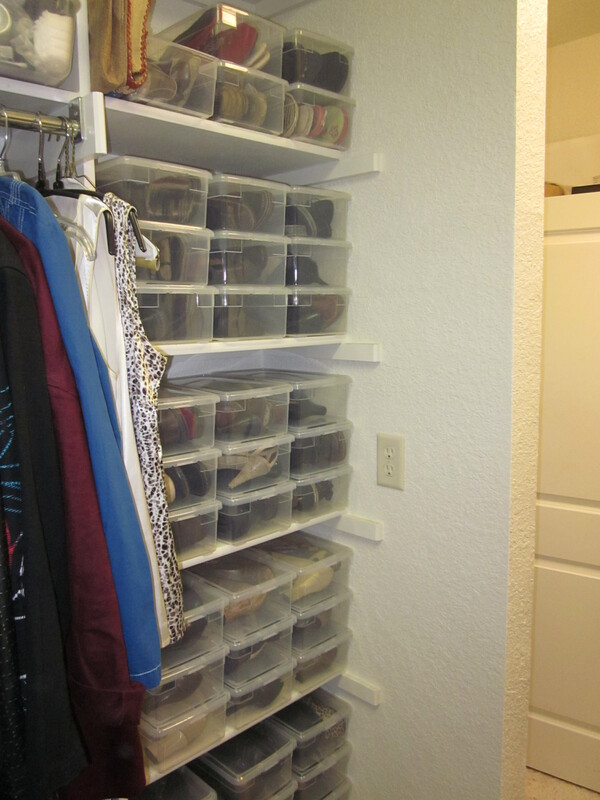 She looked at the shoes I had on the upper shelf of my closet in their original boxes, and she said I should replace them with clear shoe boxes. Huh, the thought had never occurred to me. 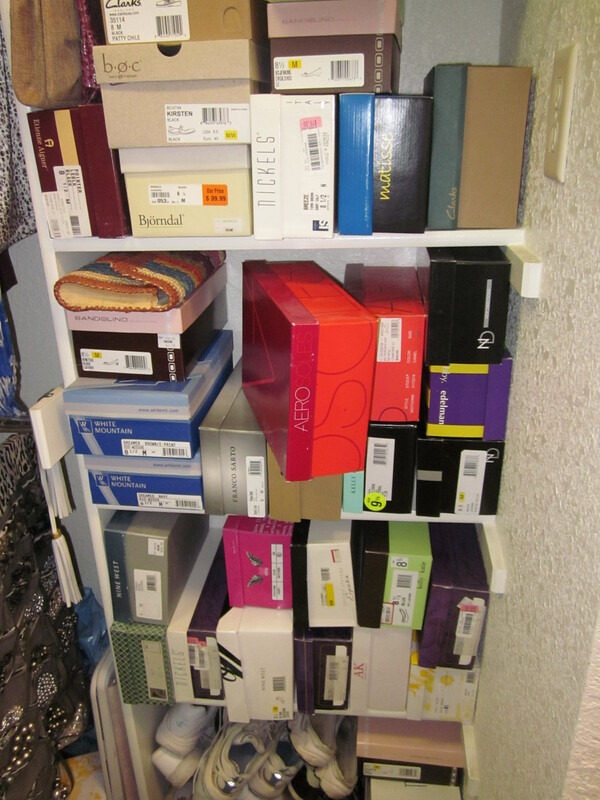 I have a shoe shelf on the floor of my closet for the shoes I wear most often in the current season, and I also have a hanging shoe rack for the off-season shoes, but my “special” shoes remained in their original boxes until now. 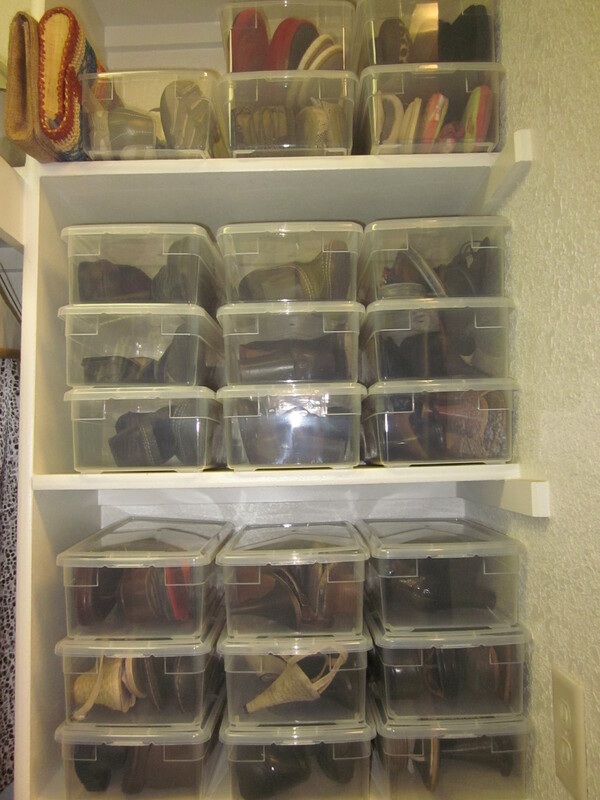 I cannot tell you how wonderful my shoes look in the clear shoe boxes from the Container Store. 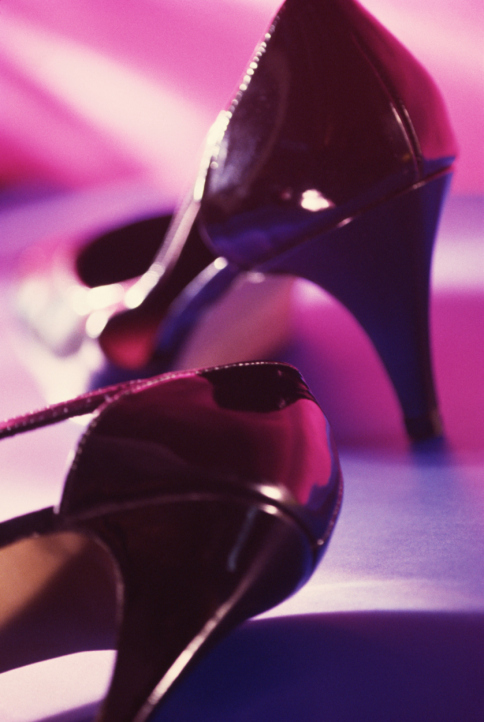 For my shoes that have a super high heel and platform, I bought the men’s shoe boxes, which are a perfect fit. I was so excited about implementing the change, I failed to take before pictures, so the after pictures would not pack a punch. 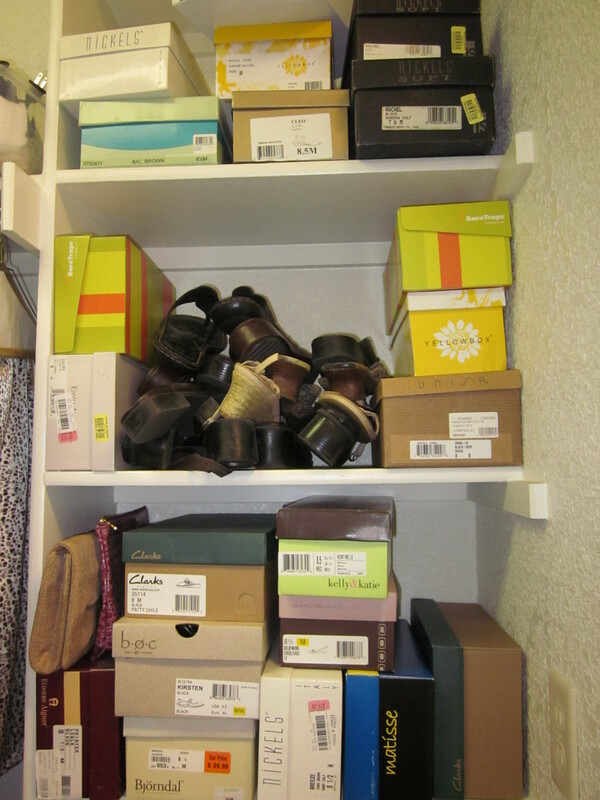 HOWEVER, I had the foresight to take before and after photos of my mom’s shoes, whose shoe shelf recently got a makeover compliments of her son Marsh Buice and his wife Nesha as a birthday gift. See the before and after photos below. Can you believe the difference one small change makes? Give it a go! You’ll be glad you did. Glorious!! Your Moms closet looks beautiful! Previous Know Your Bra Size?